Magazine Publishing Leaders - Vista Graphics Inc.
A magazine is publication that is printed or electronically published (sometimes referred to as an online magazine). Magazine publishing publishers are responsible for defining the editorial by providing readers with high quality content. In addition to editorial support, the publisher manages business operations so that the magazine can maximize revenue and profit through the advertorials. Did you know that VistaGraphics publishes over 40 magazine titles annually in the hospitality, lifestyle genres? With each publication, quality is the focus. We believe that the quality of the magazine affects the quality and receptiveness of the message. VistaGraphics, Inc. is a reputable magazine publishing leader in city and lifestyle publishing. 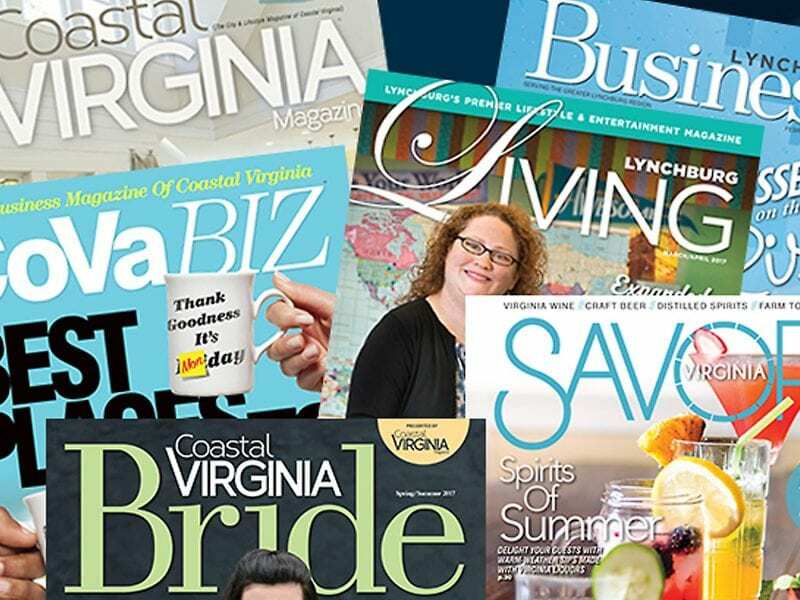 Coastal Virginia Magazine and Lynchburg Living are glossy, lifestyle magazines focusing on local human-interest stories and upcoming events, as well education to food and fun. Savor Virginia is a statewide magazine covering Virginia wine, craft beer, distilled spirits and farm-to-table cuisine. In the hospitality realm, we publish more than 35 magazine titles that span a five-state region. This stretches from the Delaware coast, through Maryland, Virginia, North Carolina, and the Great Smoky Mountains of Tennessee. We print and distribute more than 5 million magazines on an annual basis throughout our markets. We remain dedicated to providing our clients and their communities with informative and beautifully-produced publications. In addition to the more than 35 magazine publications that VistaGraphics publishes regularly, we also offer our clients custom publishing services. Whether it’s for a Destination Marketing Organization, a non-profit organization, VistaGraphics, provides quality design along with a team of creative artists to meet your needs. No job is too large or too small. To learn more about our publishing services contact our Vice President of Sales, Paul Brannock at paul@vgnet.com.To read more about our Publishing Services, Click Here.